ST.PATRICK'S DAY GROUP CALLS A.G.M. The St.Patricks Day Group are organising an AGM for Wednesday 15th May 2019 at 7.30pm to be held in Sherrys Field Sports Complex, Cathedral Road. 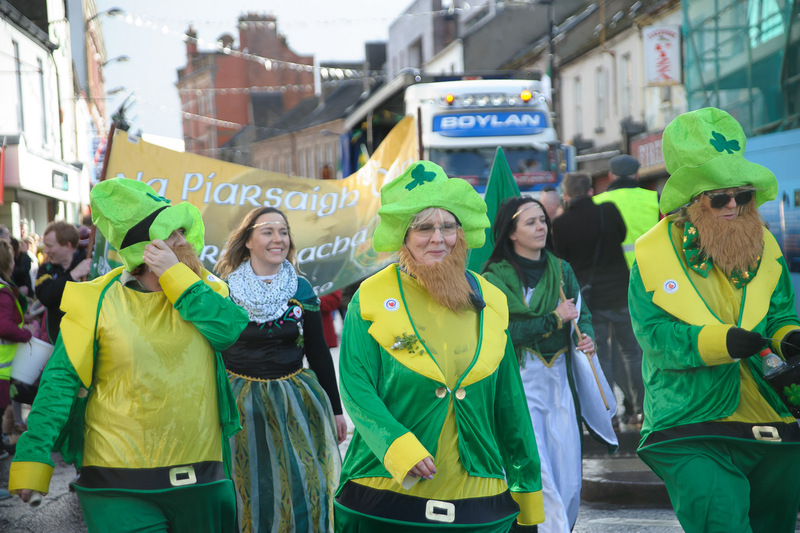 The purpose of the AGM is to formalise the group that took charge of the St.Patricks Day Community Parade in March. It has been decided to formally constitute the group who are already making plans for next years St.Patricks Day Parade. Everyone is welcome. The group will be a single focus group and is open to everyone. Monies that were donated for this years parade and not spent will be transferred to this new group which it is hoped will be able to continue to draw on community support. The audience attending the meeting to discuss the closure of the Breast Cancer Clinic at Craigavon Hospital. 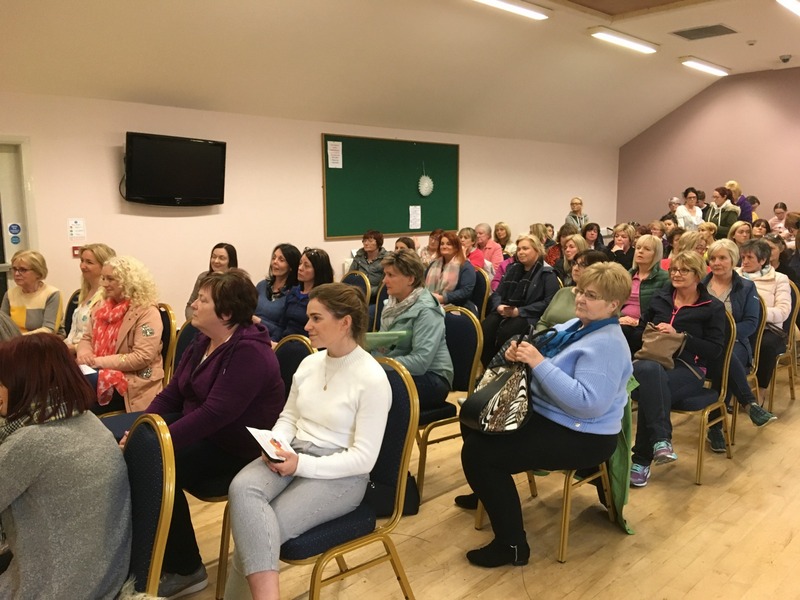 There was a large turnout for a meeting to discuss the implications of a proposed closure of the Breast Diagnostic Centre at Craigavon Area Hospital. It has been proposed to reduce this service that will mean the closure of the breast cancer clinic at Craigavon Area Hospital and Belfast City Hospital. The audience heard recounts from several women who have unfortunately had to use the service and it was stressed time and time again how the removal of this service at CAH would greatly increase the hardships associated with breast cancer. 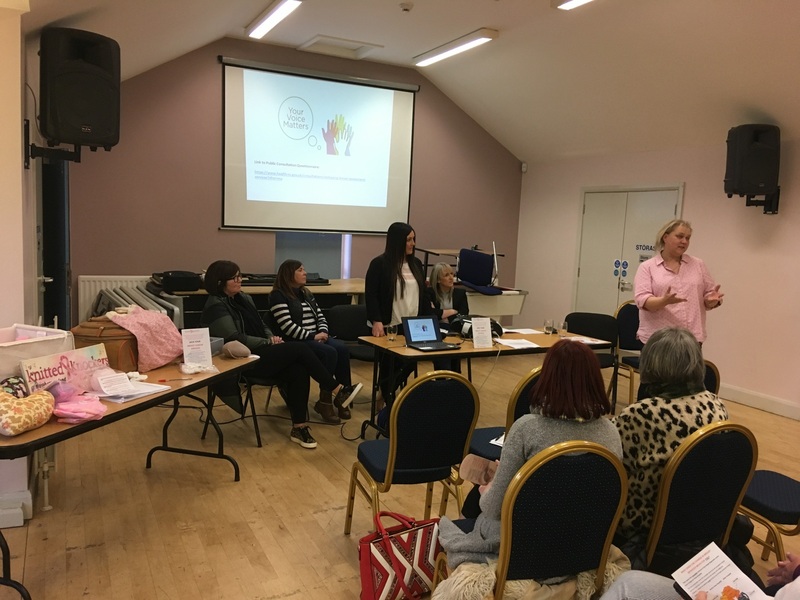 The meeting was organised by Jacqueline Donnelly who invited Joanne Harris from the Knitted Knockers, a group that specialise in handmade breast prosthesis for women who have undergone mastectomies or other procedures to the breast. Knitted Knockers are also currently gathering a petition with the aim of initiating a debate at Westminster surrounding this closure. This petition requires 100,000 signatures to enable this debate to take place. Joanne Harris urged people to sign the petition and for groups to take the petition onboard and highlight it. Anyone looking to sign this petition can do so at Sherry Field Sports Complex. The consortium has along with other groups, agreed to highlight and promote this petition. Other outlets for signing are available throughout the city. Check social media for details. It was noted that the meeting was very light on male participation, something stressed by Cllr,Garath Keating who was one of a small number of men who attended. Cllr Keating also spoke saying that although the figure of male breast cancer diagnosis is small, nonetheless this issue is not exclusively a woman's issue and should not be viewed as such. He added that women diagnosed with breast cancer are partners, sisters and mothers of men and the impact of this closure will be felt throughout the community. There was a wee grey toy rabbit lost during Sundays parade. It was lost around the Charlemount area. It is a childs' comforter . If anyone knows anything about this can the get in touch. 07759949314. 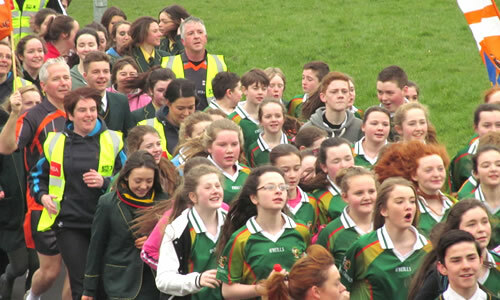 Thousands Turn Out for St. Patricks Day Parade. 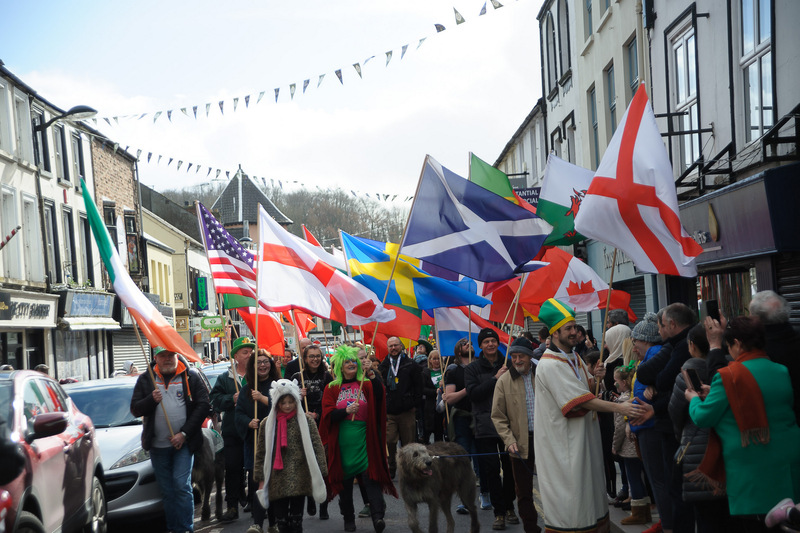 The streets of Armagh were thronged with people who came out to enjoy the community parade organised in response to the ABC Councils decision to change its own St. Patricks Day Procession. 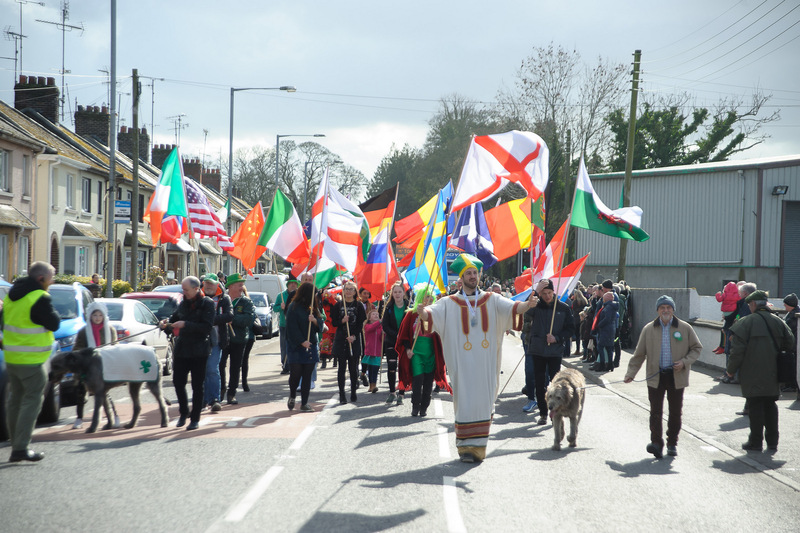 Lead by a flag party consisting to 25 national flags and walking behind the St. Patricks Flag, the parade made it way through the streets for its finishing point at Sherry Field Sports Complex. Even the odd shower of rain couldn't dampen people’s spirits who can out in their droves to both spectate and walk in the parade. The organisers have thanked everyone who helped out with the organising of the parade and the many individuals and business who donated money that was used put the parade over. Speaking on behalf of the organising group, Stephen Fields said “The response to the news that the council had changed the St. Patricks Day parade has been phenomenal. The community stepped up to the plate and came out in force. This was very evident in both the turnout and the volunteers who helped out in every way. This included the making of flags/bunting, the donations of materials, the stewards, messages of support and willingness to be involved. Due to the complete lack of consultation on the part of the council (council has still not responded to our initial letter), we only had just over 4 weeks to organise this parade and it could not have been done without this support. A big thank you to all and all credit is due to the community. It has been described as one of the biggest and colourful parades in years going back to the time when the community used to organise monster parades through the town. Those parades were at a time when the council hardly recognised St. Patricks Day but eventually through constant pressure from local representatives the council began to take the day onboard. However, that has not been a smooth journey, they have almost been dragged kicking and screaming to the conclusion that as a public body they should be supportive of everybody's expressions of culture and views. Nevertheless and even to this day, they have sought to mitigate against the parade and any sense of Irishness . Their choice in bunting omits the recognised colours of green and white. They have a lengthy list of pre-conditions for those wanting to take part in the parade , so much so, that in recent years there has been very little community buy in. This in turn has forced the council to rely more and more on professional street performers. While such acts are very colourful, they alone cannot command the support and widespread community participation. It was smiley faces all round at the childrens' party held in Sherrys recently marking the end of Carnival . 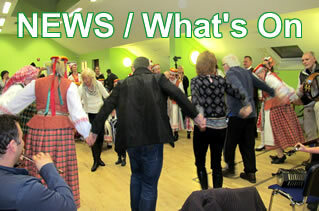 The party was organised by our local polish group POLACY to mark the end of Carnival which is a pre-Lenten event. Such events are traditional in many countries and there are many similarities in how this time is marked. The Polish Carnival season includes Fat Thursday (Tłusty Czwartek), when pączki (doughnuts) are eaten, and Śledzik (Shrove Tuesday) or Herring Day. The Tuesday before the start of Lent is also often called Ostatki (literally "leftovers"), meaning the last day to party before the Lenten season. The traditional way to celebrate Carnival is the kulig, a horse-drawn sleigh ride through the snow-covered countryside. In modern times, Carnival is increasingly seen as an excuse for intensive partying. As can be seen from our pictures,everyone certainly enjoyed the event. Armagh Mensshed recently delivered a Dementia Board to each of the 5 local Nursing/ Residential Homes in the city area and they were very well received by management who thought they were a brilliant idea. This concept was developed by a number of Menssheds in Australia after a member of one of their Menssheds had personal experience of a family member with Dementia presenting to the emergency dept of their local Hospital. They had become very agitated when being examined by the Doctor and the shed member decided to develop a distraction. So the Dementia board was born and similar designs have now being replicated by menssheds all over the world to assist those living with Dementia. The local Homes included Hamilton Court Care Home, Sunnymead, Orchard Lodge, Greenpark and Fairlawns. Mary Catherine Hutton, manager of Greenpark Nursing Home, was very pleased with the gift and said it will definitely be useful in the Home. “ We are very grateful to the lads from Armagh Mensshed who have been very helpful to us over the years and are always on hand to help with the various jobs here, whether its replacing benches or painting our picnic tables, you can always rely on them,” she said. 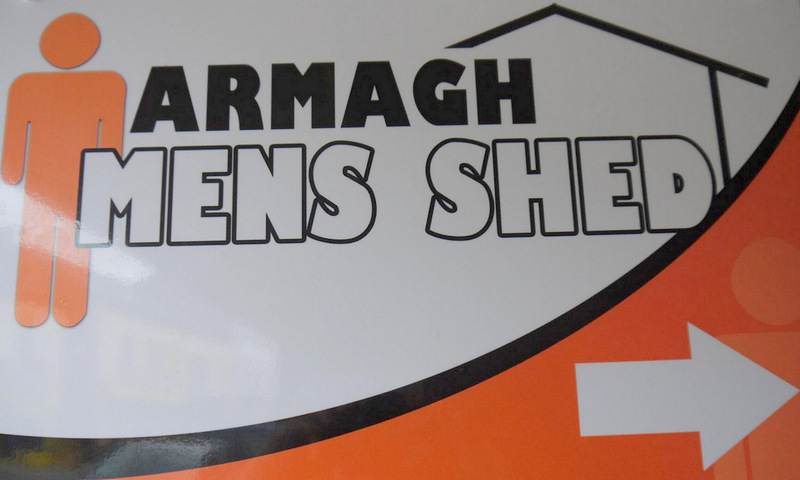 Armagh Mensshed have thanked both Northern Building Supplies and Macari Paint Shop for sponsoring paint and equipment and also for their continued support for our various projects. There are over 450 sheds throughout Ireland, according to the Irish Menssheds Association, who said they get at least two enquiries a week from areas looking for help to start their own shed. 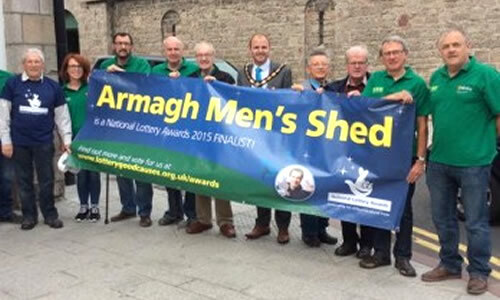 A spokesperson said that this equates to well over 12,000 men visiting a mensshed on a weekly basis –a staggering statistic when you consider what these lads would be doing if they hadn’t got this important facility!!! If you have a Father, Husband, Grandfather or other family member at a loose end and getting under your feet, send them down to their local mensshed, where they can be assured of a very warm welcome and regular cups of tea and wont regret calling in.!! 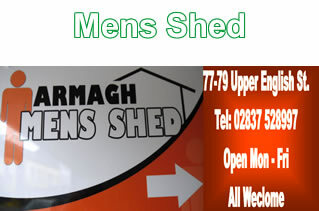 Armagh Mensshed is open 5 days a week from 830-3pm and there are also very vibrant menssheds locally, in Richhill, Keady, Portadown, Maghery, Derryrtrasna and Lurgan as well as a few more in their infancy in Newtownhamilton, Crossmaglen and Cullyhanna. If you need further info on your nearest shed please contact 07763818393. There was a great turnout for the litter pick along the banks of the Callan River on Saturday. Organised by Friends Of The Callan River, the entire exercise had a much improving effect of the rivers environment. Pasted below is a link to a video made by one of the team ,Mr. John Nixon. Copy and paste it into your search bar and the link will take you to the video. You know the old saying- a picture paints a thousand words. 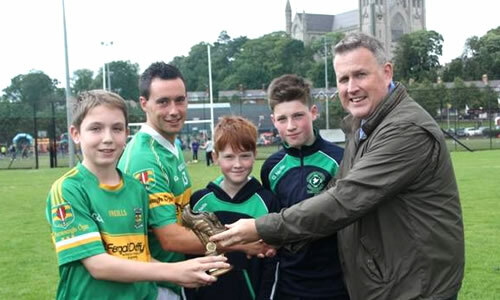 Congratulations to all involved it was true community spirited event and deserving of all our support. 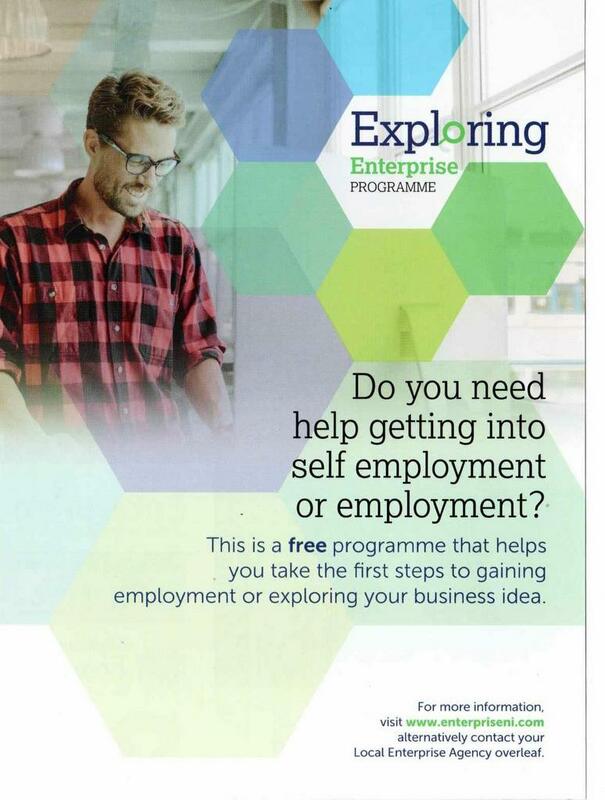 Any budding Entrepreneurs might want to take note of this programme. Its aim is to teach all the necessary skills for the running of a successful business. 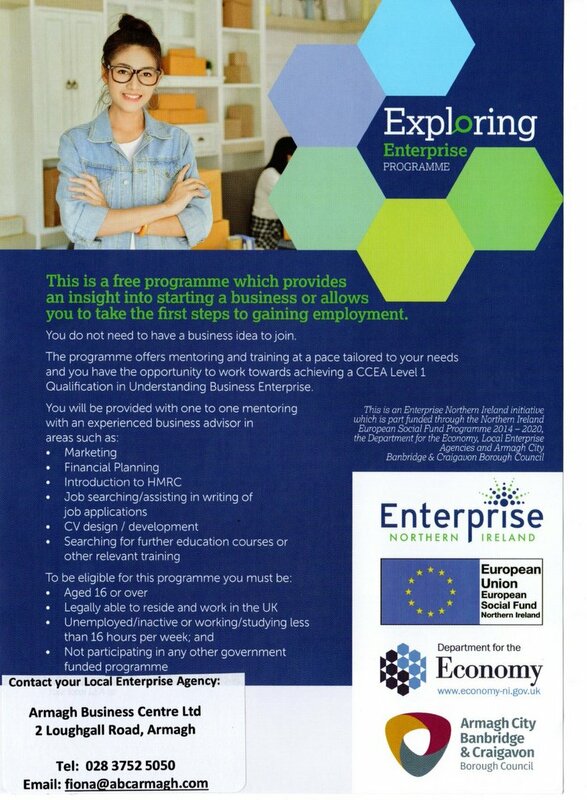 Located at Armagh Business Centre it is a free course (criteria applies). However, the course is not solely designed for business start up and is also suitable for anyone looking to improve their employability chances. 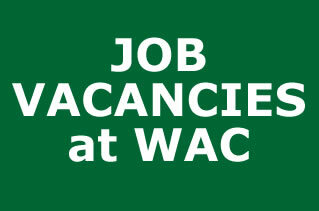 The skills taught will enhance any CV and open up avenues in the employment market. Check the flyer for details. LOCAL CHILDREN ARE TARGETED BY VANDALS. The West Armagh Consortium is calling on the youths responsible for the deliberate targeting of children’s play equipment to consider the danger that they are putting young children in. It follows several incidents when bottles were smashed in and on play equipment in the children’s play park at Sherry Field Sports Complex. Speaking for the West Armagh Consortium, Stephen Fields said, “It is clear from the number of times that this has happened and where the bottles have been smashed that it is not the actions of some fling it away vandals. The play equipment itself appears to be the target with glass being deliberated broken in and around as well as on top of equipment. In some cases, this glass appears to be strategically placed where young children would be playing in what can only be assumed is an effort to inflict as must hurt as possible on unsuspecting children. We have pictures of bottles having been broken and placed at the top and bottom of slides. “These are deplorable acts and even go beyond the wanted destruction of community facilities. The individuals involved in this are deliberating targeting young children. This is an obvious conclusion considering where they are breaking the bottles and, in some cases where the glass is being deliberately placed. “Thankfully no child has been injured by these acts. The result has been that the park has had to remain closed on several occasions while council staff clean up the glass. Congratulations to Mr. John Fields and Mrs Patricia Creighton who completed their First Responders Training and will be responding to NI ambulance service calls in the coming weeks. Our new First Time Responders received their training though a four-week course and confidently passed. Their going active with the CFR programme comes shortly after the actions of the Community First Responders are being credited with assisting in the saving two lives in the city. Two men were successfully resuscitated and maintained by CRF volunteers, not the local volunteers but others who responded to the emergencies. Indeed, in one of the emergencies the CFR volunteer accompanied the patient in the ambulance assisting in the speedy delivery of the patient to Craigavon Area Hospital. These incidents happen at Callanbridge and on the Moy Road. The West Armagh Consortium and REACT came together in the promotion of this life saving project. And we would like to take this opportunity to extend our congratulations to John Fields and Patricia Creighton. We hope that they will be the first of many community volunteers to take up the challenge of the first responding. The four-week training course has been described by the two CRF volunteers as very comprehensive and rewarding. They added that the training programme will also afford them further opportunities to advance their emergency medical responding skills. We would like to take this opportunity to once again promote this fantastic project and encourage more people to uptake and avail of the training. ‘Such a programme can sometimes be under appreciated insofar that not all emergencies become newsworthy for the very fact that assistance had been readily available and had averted what could perhaps have been a more serious incident. As a result of our initial promotion we identified several people willing to put their names forward we hope that these volunteers will be able to follow through and in turn encourage even more like-minded people. There are a number of avenues that potential volunteers can go down to register with the Community First Responders. They can contact either WAC or REACT and we will forward their details on or go directly to the CFR website https://www.cfrat.org.uk/volunteer and link into their "Volunteer Registration Form"
Deputy Lord Mayor of ACBC, Cllr, Paul Duffy pictured with those attending the presentation evening. Two local charities were presented with an equal share of the money raised at the sponsored run/walk held on August 10th as part of the West Armagh Community Festival. The event raised £4,220.Lisanally Special Needs School and Armagh Breast Cancer Support Group each received £2,110 at the night organised by the Lord Mayors Office at which the Deputy Lord Mayor Cllr, Paul Duffy made the presentations and congratulated the festival committee on delivering such a successful event. There was a special presentation to Jack Rolston who attends Lisanally School. Together with his family ,Jack raised well is excess of £600 and in recognition of this fantastic achievement the festival committee presented Jack with a Harry Potter rucksack and wand. Needless to say there was a plethora of spells cast for the rest of the evening by the young wizard himself. The event was attended by community volunteers, local politicians and representatives of the two charities.The committees sponsored run organiser Mr. John Fields thanked everyone for all their efforts in the organising and participation in the run. He also thanked the local council who allowed the run to take place in the Palace Grounds. He added that it was particularly heartening to see the money raised being put to such good use. *If not already on,turn on your machine. *You cannot see what is going on in the background because they are hiding their activity. *To see what they are doing, press the windows key and R and it opens up a box bottom left hand corner. *Then you'll be instructed to insert a lettered code. This allows them to install a programme onto your computer and once that's activated, you have lost control of your computer. You screen will go blank at least at your end but allowing them to access your files. From there on in it will be a matter of them stalling you with false information and bogus commands with the sole aim of gaining access to your banking details. If you received such a call do not comply with it. Simply hang up. Genuine service providers do not contact their customers in this manner. Even if you are suspicious do not try to confirm with a number or email address that the caller may give. Go to the service providers verified online site and follow their respective contact procedures and details. 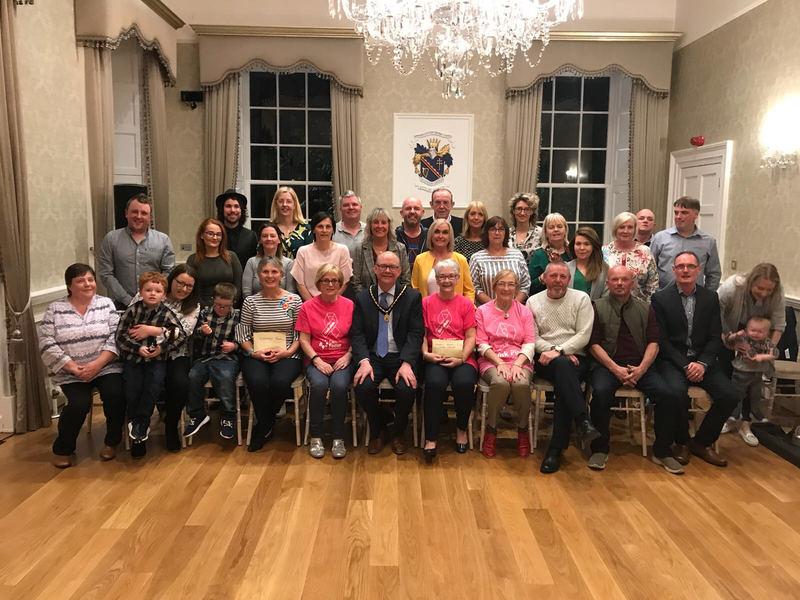 The Deputy Lord Mayor of Armagh City Banbridge Craigavon Council, Cllr Paul Duffy, has invited members of the West Armagh Community Festival Committee to a reception in the Lord Mayor's Parlour on 26th September. 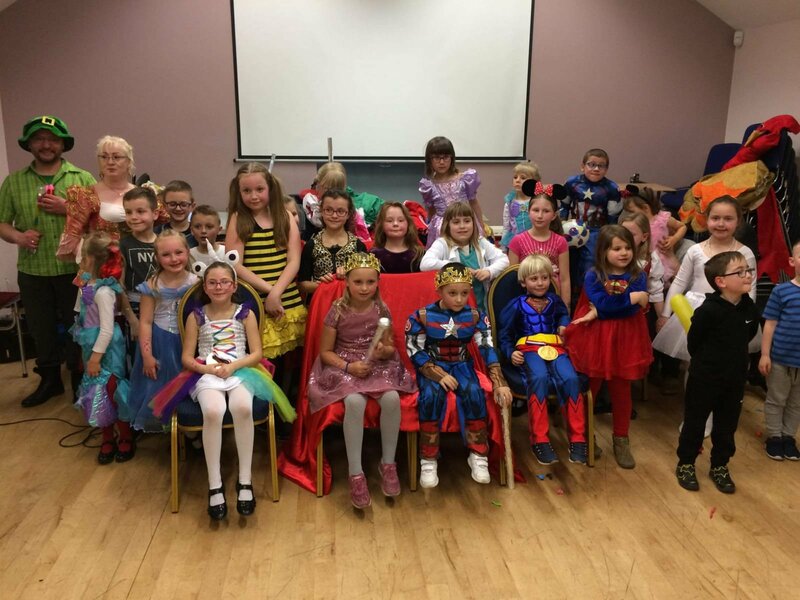 Representatives of the local charities due to receive a share of the monies raised through the sponsored run/walk held as part of the West Armagh Community Festival in August, have also been invited. Committee members wishing to attend need to confirm their attendance. Please click onto the link below to view photo montage. Hope you enjoy. We are indebted to Brian Corvan for compiling the short video. Some people have experienced difficulty with the first links. If that's the case click on the last link will take you to our FB page and the video. Could you help someone with dementia to keep doing the things they love? Side by Side volunteers support people living with dementia in the local community. This involves companionship for a person in the early stages of dementia helping them to take part in social and recreational activities, providing one-to-one support to enable people with dementia to continue with their hobbies and interests or engage in new ones. 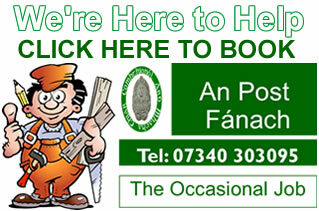 This would be for a few hours every week or fortnight in the Armagh, Banbridge or Craigavon areas. In light of the media coverage of the West Armagh Community Festival and attacks upon it by some Unionist politicians ,the organisers have issued the following statement. "The West Armagh Community Festival has been in operation for over 20 years and in that time has been officially opened by Mayors and Lord Mayors from ALL parties within Armagh City and District Council (ACDC). The events that appear to be causing upset to members of the unionist parties have been part and parcel of the Festival since its early days, so why are unionist politicians up in arms now, considering that they participated in its official opening over the years and witnessed some of the events in question. "Indeed, we have the current Lord Mayor officiating at our sponsored run/walk tomorrow night in the Palace Grounds. The monies raised at this will benefit two local charities, Lisanally Special School and Armagh Breast Cancer Support Group. 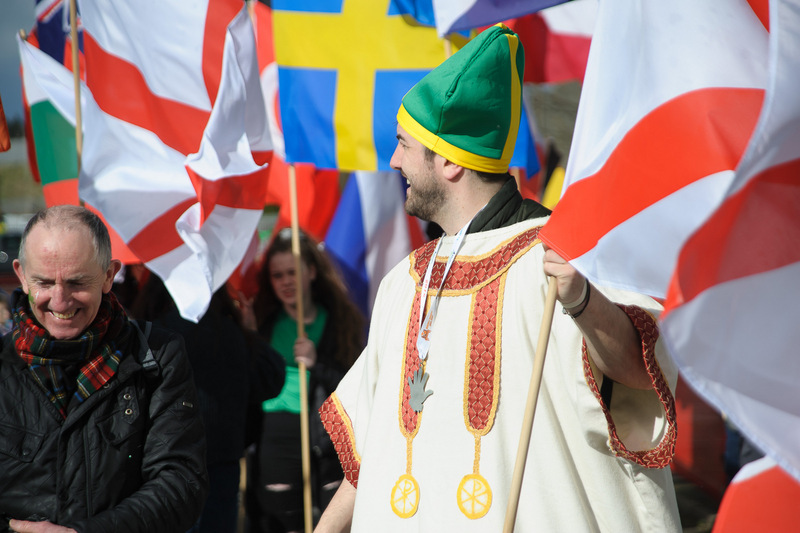 "The Festival was deliberately timed to coincide with what used to be a very volatile time of year, particularly within the nationalist community. The Festival organisers used the Festival to redivert energies. 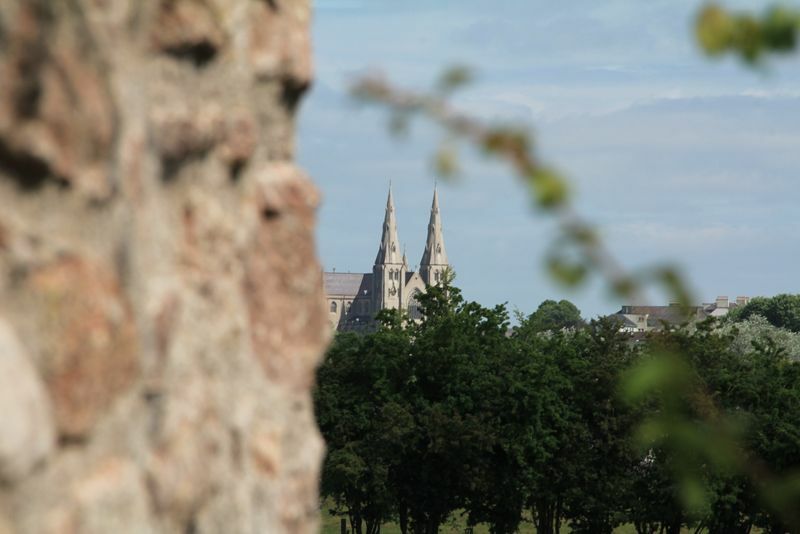 By and large this has been a great success insofar that here in Armagh the anniversary of Internment now passes off without any unrest and anti-social behaviour as had been the norm. "The events in the Festival are named after people who are significant to the community in Armagh, who died either as part of the conflict or had respected standing within the community. There are over 10 events named after local people, not all who died violently. 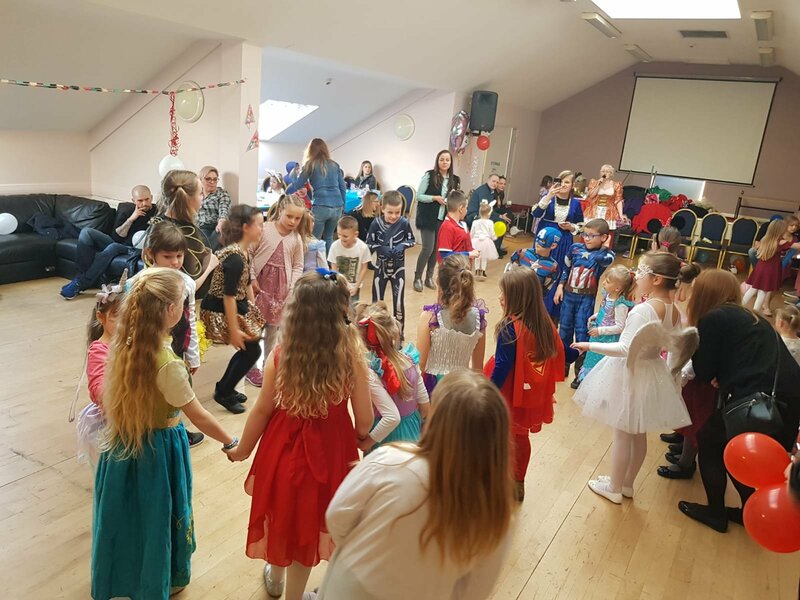 "We are currently involved in a very busy Festival with a full schedule of multi-cultural events and cross community activities geared to everyone in the community. We hope this statement will suffice. If there are any further queries we will gladly respond to them after the Festival is completed." The final walk in the 7 Hills Challenge Parks Experience took place with a dander around Kinnego Marina Lough Neagh. All the walks in this programme have enjoyed very fine weather and it was fitting that the programme finished off at such a picturesque location and on such a fine morning. Congratulations to all those who took part in the walks and to Mr. John Fields who served as guide, coach and general all round mentor for the walkers. We hope to revisit the project again as part of our promoting healthy lifestyles programme. COULD YOU BE A COMMUNITY FIRST RESPONDER? Could you be a community first responder was the question we asked when this article was first published .To date there have been several people who have expressed an interest in responding to this. Although there wasn't a time frame outlined for the purposes of moving the appeal forward both WAC and REACT have agree to resubmit this appeal via all our social media outlets. It has also been decided to set the end of the month as an interim cut off date, at least for the initial appeal and in order to get those who expressed an interested connected to the CFRAT. Obliviously the recruitment of first responders will be an ongoing process and will continue after this initial promotion. To find out more follow the link READ MORE to the original article. In a follow up to our 7 Hills Challenge last November/December we are organising the Armagh Parks Experience that will commence on Saturday 26th May. WEST ARMAGH CONSORTIUM SECURE £196,801 FUNDING BOOST FOR THE CITY.